If you want to eradicate your family’s head lice problem completely, contact The Lice Place’s The Woodlands office today. We offer professional treatment and guidance to eliminate head lice and nits infestations. When you select The Woodlands Lice Removal & Lice Treatment Clinic to get rid of the most frustrating lice problems, you get help from the area’s most reputable company. The Lice Place is a well-known name in the lice removal industry. We have many years of combined experience and the highest publicized success rate in the country. The Lice Place not only offers in-clinic treatment services, but has also developed a wide range of lice treatment products. These products include TLP shampoo, conditioner, terminator comb, spray and mousse. Being the area’s most trusted company we offer only pesticide free, non-toxic treatment and products. We also have infection control policies in place to make sure our clients don’t get lice and nits after visiting any of our clinics. The Lice Place is a company that is owned and run by a registered nurse. We follow certain guidelines and practices to protect our customers from any potential harm. Also, being a member of NALTP, we are held by the highest professional standards and take complete care of our customers’ interests. At The Lice Place, you will always get discreet treatment and personalized care. We offer private treatment rooms to all the families and never charge any extra money for the service. Over the years, we have treated several families and individuals with efficiency. You can also benefit from or extensive experience and knowledge by receiving our professional help and guidance to get lice free. Call us today to get your appointment scheduled. You can also receive our professional head checks to make sure whether the infestation actually exists. 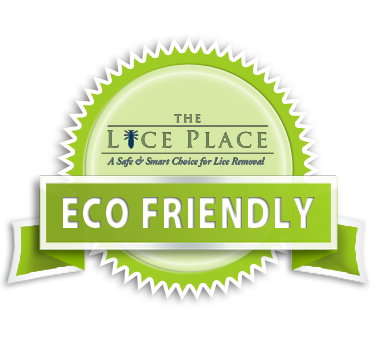 The Lice Place is known to be the best The Woodlands Lice Removal & Lice Treatment Clinic. We are always available to help families that are suffering from head lice and nits.